“Birthing God. Kenosis.” These three words come to me in the middle of the night. The first two words provoke an apt title for my book. But the third stumps me. Not remembering “kenosis” from my seminary da ys, I fling back my covers to look it up and discover that it signifies self-emptying in ancient Greek. Back in bed, I try to sleep, but the notion of self-emptying echoes inside me, reminding me of the Buddhist concept of no-self: not a cipher or empty sack, but a receptivity to Spirit that makes incarnation possible. Women, I realize, empty themselves all the time, making room for the spouse or the child and his or her attendant needs. I think of Mary—an unwed woman, a girl. What is her response to a divine being who tells her that she is pregnant when circumstances dictated that she could be stoned for that condition? 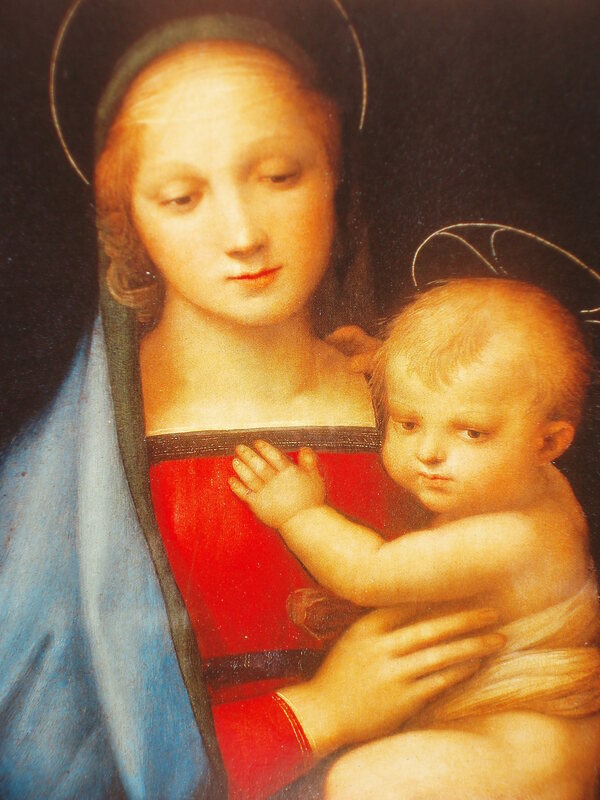 “Let it be to me according to your word,” Mary is said to have responded, opening her life to the risk and the potential of divine inspiration. Receptivity, desire for connection, making room for another: these attributes express women’s most fundamental ways of being in the world. In preparing for this book, I interviewed many women, and everything they shared reinforced one simple treasure: however we name Spirit, we receive it with deep-hearted openness. Our receptivity is active, recognizing the value we bring to relationship by trusting and honoring the God within; by experiencing Spirit as soul mate; by glimpsing the Divine all around us; and by allowing God to cradle and nourish us. At the same time, our spirituality is a process, unfolding and growing with each passing day. Our spiritual stories are full of missteps and unabashed celebration. They are narratives of suffering and of hope; lessons in shedding fear and learning to love ourselves. Excerpted from Birthing God: Women’s Experiences of the Divine. Order it now and share as a holiday gift! ← Ita, Maura, Dorothy, Jean, Presente! !